Home>New Mixtapes>Serial Killers Mixtapes> Xzibit, B-Real, & Demrick Steady Lurk On "Serial Killers: Day Of The Dead"
Though originally planning to drop on Halloween, Xzibit, B-Real, and Demrick have opted for the Devil's Night drop instead. Either way, Serial Killers: Day Of The Dead is upon us, boasting seven tracks of sinister heat. It's evident from the opening moments that Day Of The Dead reflects on a simpler time, eschewing many musical trends and patterns we've come to associate with "contemporary production." It's honestly refreshing, especially for those who grew up bumping Xzibit and Cypress Hill records in the early aughts. Tracks like the Nottz-produced "Get Away With It" evoke shades of "Symphony In X Major," while the hard-hitting opener "(W)e (A)re (R)eady" utilizes clever staccato percussion to kick up momentum. Penultimate track "Fruit Punch" brings some relaxed levity to the project, while closer "Things Fall Apart" raises the tension to a simmering note. Salute to X, B-Real, and Demrick for this one! 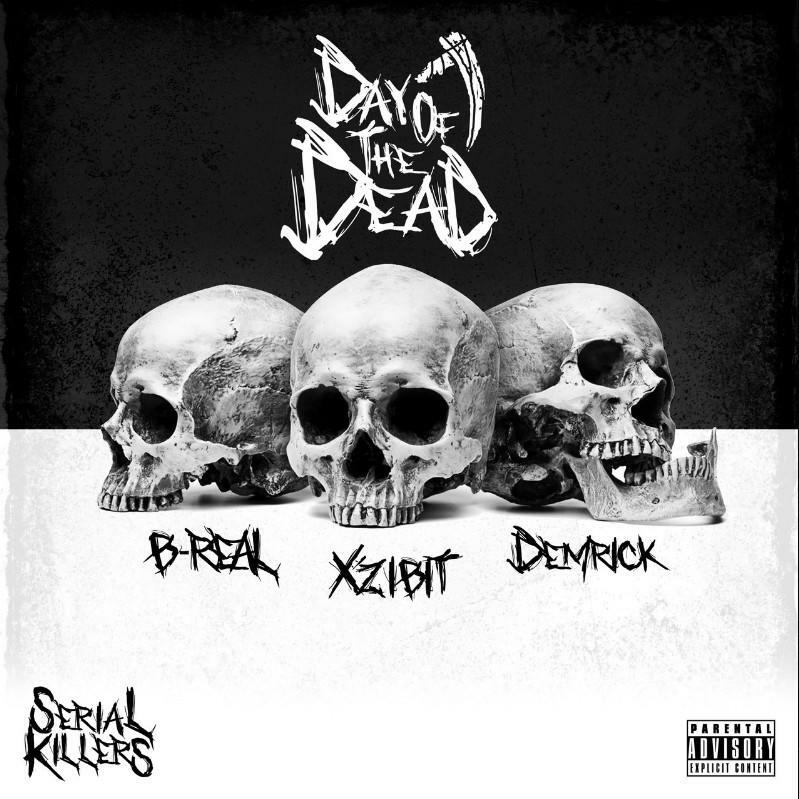 MIXTAPES Xzibit, B-Real, & Demrick Steady Lurk On "Serial Killers: Day Of The Dead"